Professional nutrition advice from a registered dietitian with over 20 years of experience. That's what you'll find here. There's a lot of diet and weight loss information out there - both good and bad. I'll help you cut through it. Think of me as your Personal Dietitian. Do you have unanswered questions about your diet and how to make healthy choices? Confused about the plethora of conflicting diet information out there? How can I get quick, healthy meals on the table in minutes? What should I order if I go to a fast food restaurant? Which popular diet is the best? What's the deal with weight loss surgery? Well you've come to the right place! As your Personal Dietitian, I'll provide you the information - and inspiration - that you need to make good food decisions. Use what you learn a little bit at a time and before you know it, you'll find you've taken control of your diet...and your life. So get comfy, grab a (small) bowl of popcorn (preferably air popped! ), and have fun as you check out my website. Even the best athletes need a coach! I'm right here rooting for you all the way. Let's get going! FREE sample 1200 calorie diet menus written by a registered dietitian. Choose a 1200 calorie menu plan based on the number of meals per day you like to eat and your food preferences. Calories: Do You Know Where All Yours Are Coming From? Calories matter, pure and simple. Are you trying to lose weight without knowing where all your calories are coming from? Doesn't that seem silly? Everyone's metabolism is unique. The more you know about your own, the more you can do about it, and the more you can take control of your personal nutrition. Your Fast Food Nutrition Guide: Survive the Drive Thru! There are a lot of diet reviews out there, and a lot of suspicious endorsements. Want a professional review? You've come to the right place. Diet Talk, Food Talk: Join the Conversation! Did you know there's a Personal Nutrition Guide community? Join the diet talk. Join the food conversation. Thinking about food is a step towards more mindful eating. 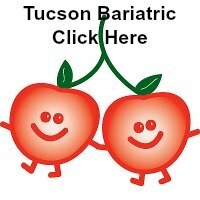 Tucson Bariatric dietitian Suzette Kroll, RD provides professional advice about what to eat following weight loss surgery. Considering Weight Loss Surgery? Consider This! Lots of quick meal ideas to help get food on the table in a flash. There's a way to make GREAT quick meals that are also HEALTHY quick meals. FREE resources aimed at teaching good nutrition for kids. Find nutrition activities, games, and suggested nutrition books and websites for kids. Great for both parents and educators. Freshman weight gain isn't just a myth. However, it's not inevitable. Learn about the causes and cure of college weight gain in order to avoid the freshman fifteen. I'm the Dietitian, but I'm handing over the Men's Nutrition portion of my site to my ultra-fit husband, Steve. He knows how men think about food. Vegan Definition - What is a Vegan Diet? What Do Vegans Eat? Understand the vegan definition and get professional advice from a registered dietitian. Learn what vegans eat and get advice on how to make an easy and healthy transition to a vegan diet. Healthy Eating: You Can Do It! Get food nutrition facts for you favorite foods including nutrition facts about food values, richest sources of nutrients and creative servings suggestions. Personal Nutrition Calculators: Do You Know Your Numbers? My personal nutrition calculators will help you figure out where you stand with weight and calories...the first step in figuring out what to do about it! Your Personal Nutrition Guide Blog informs you of site updates and important news from the world of nutrition. Do you need help with nutrition, diet, weight loss...anything food-related. Contact Suzette Kroll RD, your personal nutrition guide. Nutritionist Suzette Kroll is a Registered Dietitian, certified intrinsic coach and specialist in nutritional counseling.